Is the sinful state of “indulging in hedonism” amongst your life goals? Then we can unrestrictedly recommend Rhodes to become your temporary training ground. The training equipment provided by this island is not only highly effective with a guarantee for success, but even proved by the Greek gods and thus truly beautiful and enjoyable. This makes Rhodes also a very suitable place for everyone who is simply “looking for a perfect summer holiday” in the Mediterranean. 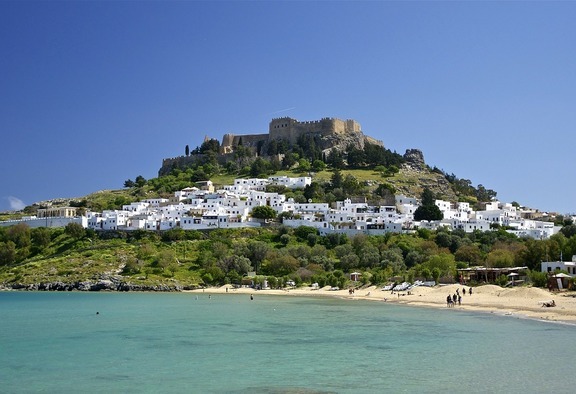 The fact that this largest of all Dodecanese islands is named after Rhodes, the daughter of Poseidon and Aphrodite, does not really come as a surprise now, does it? It’s just one of those many other reasons that make Rhodes not just another one of those many Mediterranean islands but the place where your dreams may just come true.